Grahams enthusiasm and passion saw him be the silent but warm guide that lifted Olympifit from the small flame to its current glow. Graham was not just a weightlifting enthusiast and competitor but a trusted friend and his likeness will be sorely missed in ways words cannot express. Despite Grahams humility, his Olympic Weightlifting record included the Australian Championship in his division, a feat he came close to emulating when he returned to defend his crown with a well deserved silver. 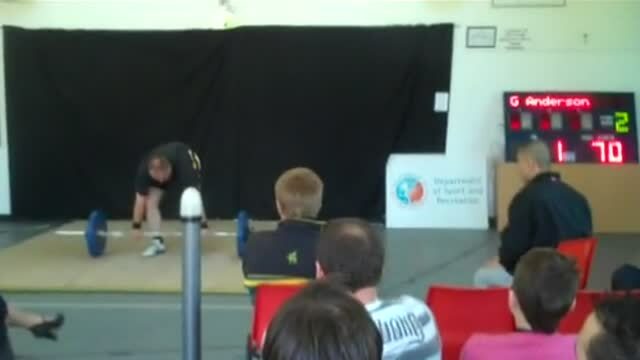 His love of the sport saw him contribute to bringing Olympic Weightlifting in WA to a wider audience. His spirit will be carried on amongst the weightlifting community and his memory will be kept alive by those friends and competitors fortunate to have rubbed shoulders with the big man. As big as he was in stature he was even bigger at heart and it is with sadness that we will mourn his passing.